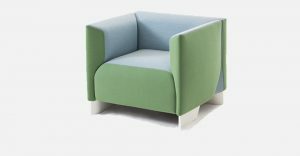 The market success of the “8” sofa, introduced in 2014, prompted Cassina to expand the range with the “8 Cube”. 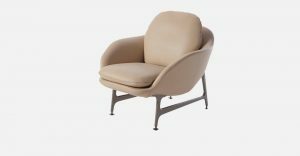 A collection of padded elements, which traces the figure 8, but which also offers a version with an even softer seat and simpler, more contained lines, while still maintaining the same quality craftsmanship and minimalism of the previous system. Its distinctive features include the elegant cast aluminium sleds that support the generous cushions, perfectly aligned with its carefully tailored upholstery; the light aluminium frame, refined with a padded leather or fabric trim. The new collection is distinguished by its padded elements without the lateral and rear panel structure used in the 8 model. They are therefore simpler but certainly no less incisive from an aesthetic and functional viewpoint. 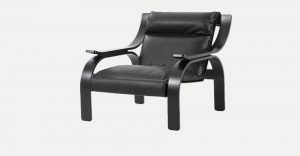 The backrests and armrests, at the same height, create new proportions, offering greater levels of comfort. This new collection comprises a swivel armchair, two- and three-seater sofas, chaise longue, corner and end pieces: modular items that be arranged in a wide range of configurations or as individual pieces, distinguished by their sobriety and impeccable elegance. Seat structure: extruded aluminium with elastic belts and trim upholstered in fabric or leather. Padding: variable density CFC-free polyurethane foam with polyester wadding. Sofa bases: die-cast aluminium in the colours matt anthracite, matt chestnut brown, polished aluminium. 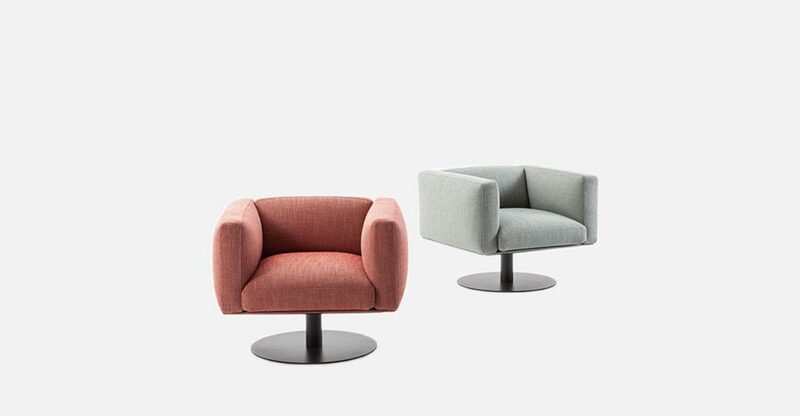 Swivel armchair base: metal in the colours matt anthracite or matt chestnut brown. Upholstery: removable fabric or leather.